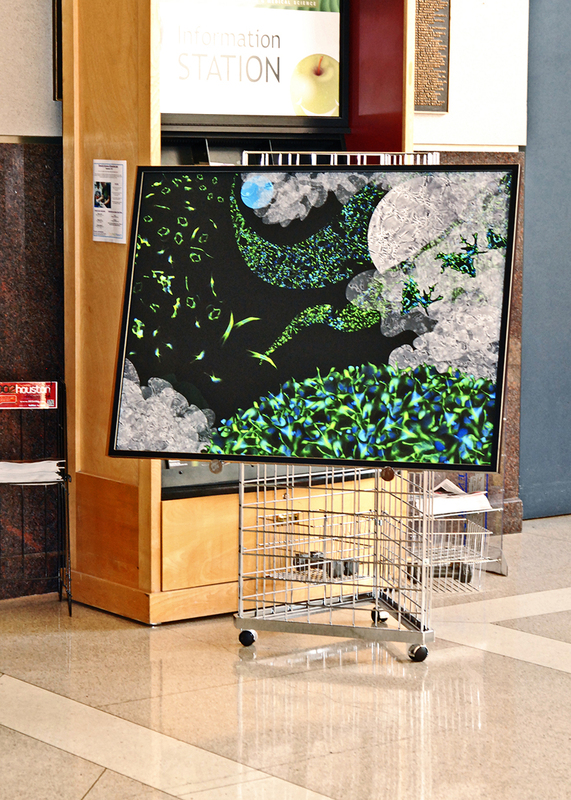 It was an evening for students attending the Duke TIP Summer Conference and their parents, a crowd interested in “Exploring New Frontiers in Biomedicine.” Although eight cell artworks were printed, framed and displayed, I captured just a few photographs on site. Next time? The eight pieces were printed by David Miller of Houston Giclee Printing (http://www.houstongicleeprinting.com/); Unique Arts of Houston (http://www.uniqueartsofhouston.com/) framed them. This entry was tagged arts, cell art, cell artwork, endothelial cells, Nancy C Qutub, Nancy Qutub, Neural progenitor cells, science. Bookmark the permalink. Thank you, Pam. 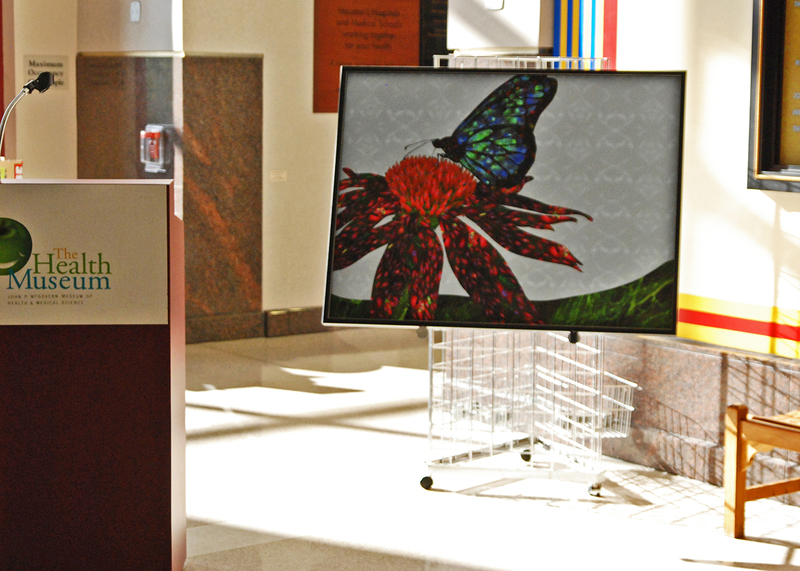 I wish you had been in Houston to see the printed pieces at the Health Museum and in their digital format on the Chevron DAVinCI Visualization Wall.